4k00:13Oak tree, blowing wind. 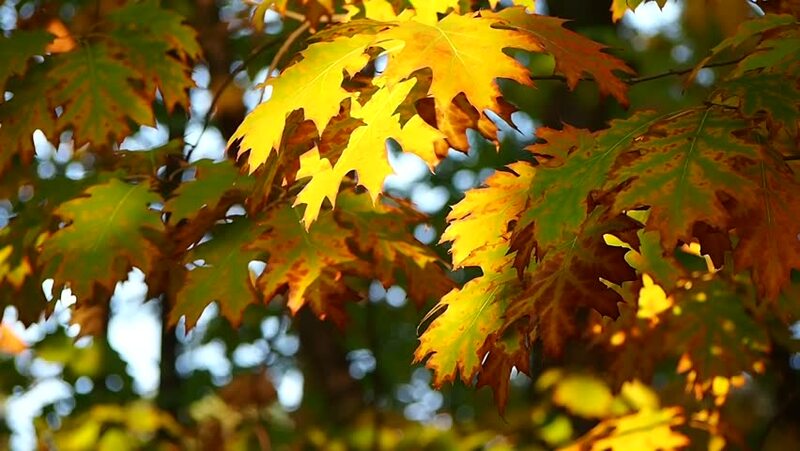 Autumn oak leaves, close up. hd00:25Autumn painted tree closeup with it's leaves glowing, backlit by setting sun. hd00:15City Park in the fall. hd00:29Yellow autumn leaves in the park.Yellow autumn maple leaves in the forest. Autumn landscape in the park, the woods. Autumn leaves in the sunlight. hd00:17 Maple Tree yellow-colored leaves on branches sway in light wind.